Green Side Up is a Land Management company. We are a one-stop shop for business and property owners and all their land management service needs. With us you will find a combination of a maintenance service, a lawn and shrub care service that will chemically treat your lawn and shrubs to keep them free of pests while maintaining their beautiful green color. A Custom Landscape division that will work with you to create your dream lawn and garden. And a Sod Replacement service to replace only the sod that cannot be saved. Green Side Up provides land management service to residents and businesses in the Central Florida Area — Orange, Seminole and Lake Counties. Custom Landscaping - Installation and removal of plants, shrubs, and sod replacement. Sod Replacement - Taking out undesirable areas caused by chinch bugs, weed infestations or frost damage, in a surgical manner. Our goal is to maximize the viable St. Augustine turf left, removing only that which needs to be replaced. We here at Green Side Up want you to have the best lawn you can have, so we always offer free estimates for all our services. 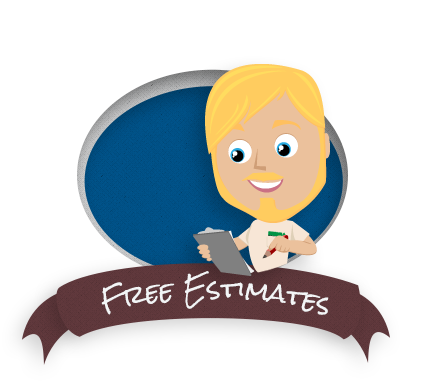 If you would be so kind as to provide us with your contact information and the best time to call, we would be happy to schedule an appointment for your estimate.